Could your business be more profitable? For most industrial companies the greatest opportunity for growth is online. Too often, this potential goes unrealized. Either the opportunity is not taken advantage of, or the right strategies aren’t in place to position your business for success online. It’s time for that to change. We want to help you realize your online potential with this guide to successful PPC for industrial companies. Why Should I Use PPC For My Industrial Company? Pay-Per-Click (PPC) advertising is the new way of generating leads. Industrial companies are unlocking new revenue streams online with search marketing. Generate more leads faster with Pay-Per-Click ads at a lower Cost Per Acquisition (CPA). PPC puts you in touch with a targeted global audience immediately. With careful targeting, we get a 300% to 2000% ROI (Return On Investment) for our clients online. Getting these kinds of results takes some serious PPC expertise and strategy. 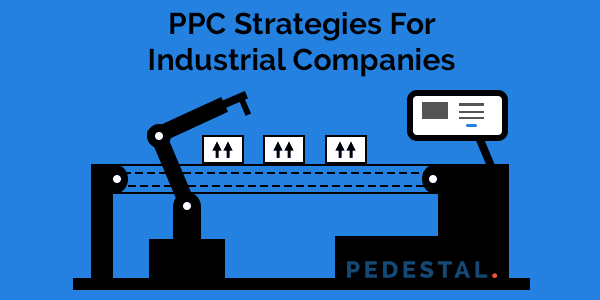 Industrial companies need a strategy all their own for PPC. Most traditional search marketing strategies simply don’t apply. For industrial PPC, you need to rethink and reevaluate your audience. One of the big differentiators with industrial is that you are often trying to generate B2B sales, not B2C. The keywords used in your PPC ads need to reflect a B2B audience. Your audience is generally making very specific searches and using technical language. This is actually to your benefit. It means you get to use niche keywords that are more relevant to your customer. These are less expensive than more general keywords, and generate more leads because they are more specific. Identify the language your customer uses to discover your website and products. Basing your keywords on this language will help you relate directly to your customer queries. A good tool to help with this is Google Search Console. Inside of this tool you can see the queries your visitors typed into Google to discover your website. One of the most commonly adopted strategies, especially when companies run PPC for themselves is to copy the competition. As a general PPC strategy, it’s not a bad technique. The problem with doing it for industrial companies is that most aren’t using it effectively. That being said, in the hands of pros, looking at competitor strategy can add value. 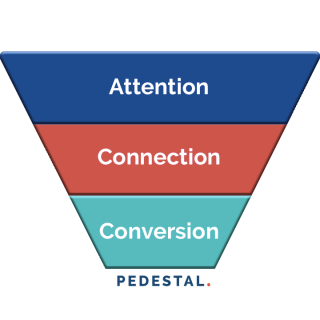 At Pedestal, we use special software that allows us to examine the success rate of competitor ads. This lets us find keywords, terminology, and strategies that currently work or don’t. With that knowledge, we can use emulation more effectively. Another reason that industrial companies require such different approach to digital marketing is their position on the consumer funnel. The most popular touch point for PPC is the ready-to-buy stage. That is, capturing a consumer right when they want to convert. In the industrial field, especially in manufacturing, that segment is rarely a realistic target. The audience often is best engaged during the Attention – or research phase. Industrial consumers are looking to find out who is capable of supplying their needs. Usually, they want to contact by phone or email first. 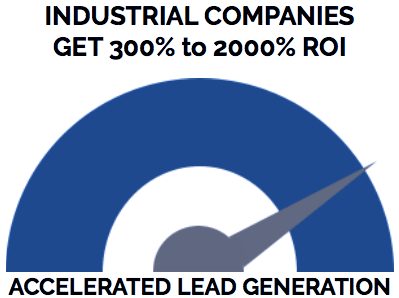 As a result, the best target for industrial companies is Lead Generation, not Immediate Sale. To continue the conversation and accurately track where leads are coming from, the right tracking and communication must be available. Taking advantage of call tracking allows you to be immediately contacted. It also gathers useful data for your PPC campaign. In lead generation forms be sure to add a section for users to write a message. Often, there are custom requests or specific needs and questions that need answers. At this stage of the funnel, the customer is usually comparing multiple vendors. Making it easier to get information from you increases retention. PPC experts with industrial experience make a massive difference in your online success. On average, industrial PPC has a higher return on investment than commercial PPC – when managed by experts. In addition to generating more leads and growing profits, PPC experts create big savings. When taking on clients with existing AdWords accounts, our initial refinements often end up saving them thousands of dollars. This is done by refining targeting and keywords. So you don’t waste money advertising to irrelevant users. As a result, your cost per acquisition goes down, while the number of quality leads you receive goes up. With intelligent testing and monitoring, we optimize your search marketing campaign to grow more profitable over time. Want to discover how your industrial company can become more profitable online? Get started with industrial PPC today!